Our New Jersey lawyers represent businesses and individuals residing in Fair Lawn, New Jersey. LoFaro & Reiser handles civil and criminal cases in the Superior Court of New Jersey in Hackensack, Bergen County. In addition, the firm’s lawyers also represent individuals in criminal and traffic offenses in Fair Lawn Municipal Court. 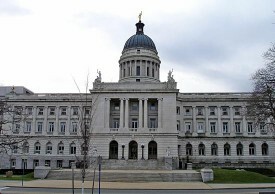 Our office is conveniently located across the street from the Bergen County Courthouse. If you or your business require assistance with a legal matter in the Superior Court of New Jersey in Hackensack or the Fair Lawn Municipal Court, contact our NJ lawyers today. One of our experienced attorneys will respond to your inquiry within 24 hours. For urgent matters, please call (201) 498-0400.